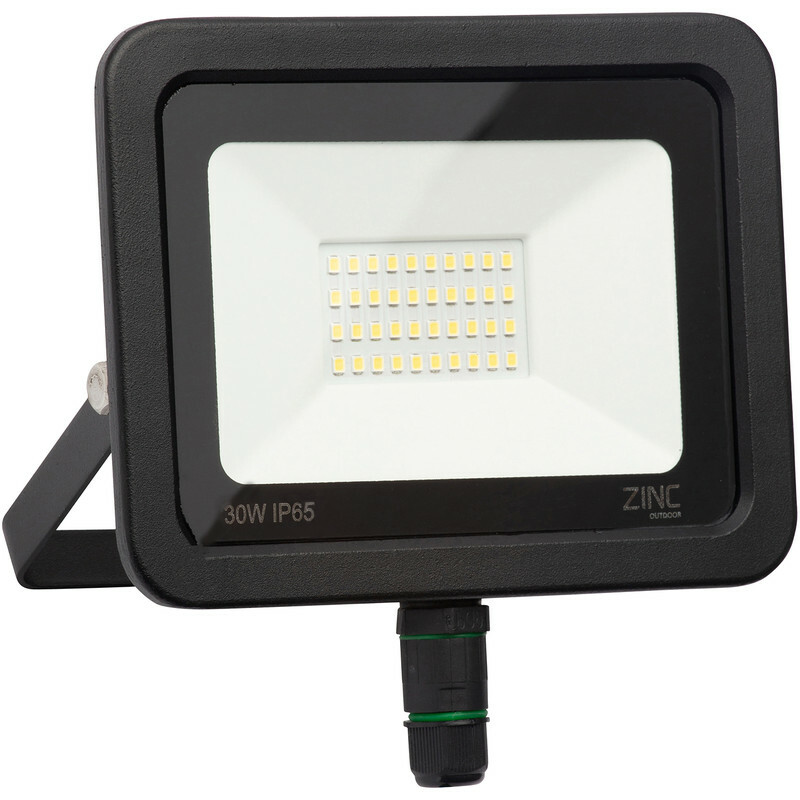 Zinc Slimline LED Floodlight IP65 30W 2400lm is rated 2.8 out of 5 by 8. Rated 3 out of 5 by sparks701 from Connections Awful The fitting does feel well built and good looking. As stated the fitting has no pre connected flex, but the terminals are absolutly terrible, so ridiculosly small, close together and the screws are miniscule. i had to get my watch repair kit out to find a small enough screw driver and glasses on. Still it is a tricky task even for me as an electrician. I have never seen such bad terminals. Rated 1 out of 5 by Sandy34 from Poor wiring connections This one is being fitted as a replacement to one which has failed within 4 x weeks. Don't try and connect this unit outside up a ladder, the connections are disgracefull. Probably impossible to achieve soundly in cold weather. Put flex on before fitting in the comfort of inside if possible.. Rated 2 out of 5 by Anonymous from Be careful of the tiny tiny grub screws Good light, good price but by christ its fiddle wiring it up. The terminals are so small you almost need a magnifying glass. Unscrew the grub screw to far & lose it. I guarantee you won't have a spare. Not unless you're a part time watch maker. Every time you push the wire into hole while & turning up the screw the whole thing disappears into the lamp. I was working up a ladder in poor light and almost gave up twice. Rated 5 out of 5 by FredDIYer from Neat and bright I bought this to replace an old 100W halogen 78mm strip floodlight. This floodlight is very neat, looks so much better than the old one and appears at least as bright. As the description states the light has a very wide angle of illumination, much wider than the old style flood where the halogen bulb was set back inside. Be aware that the cable connection is rather small with the live, neutral and earth wires connecting via tiny grub screws. It is worth noting that the cable connector sticking out from the bottom limits how far the light can be tilted down if it is mounted on a vertical wall. The limit is a little more than 45 degrees which is no problem where I have mounted it in the garden but something to be aware of.